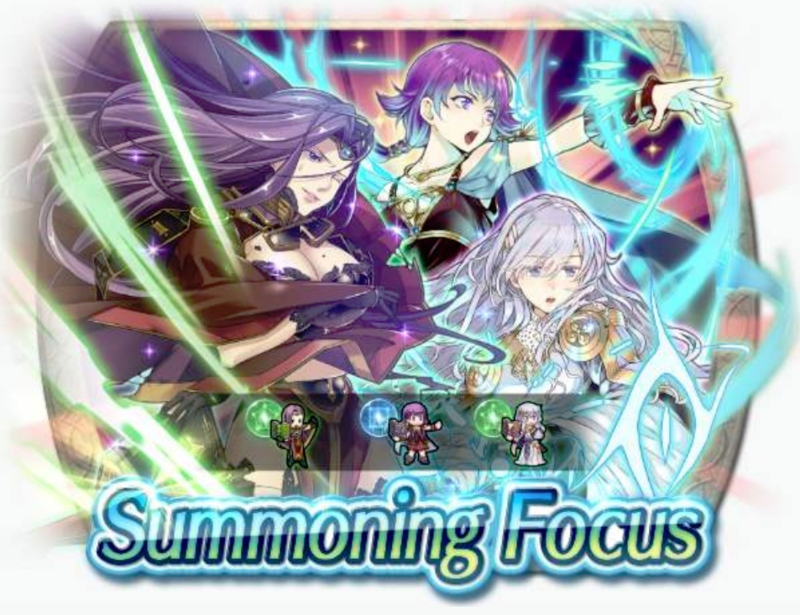 Heroes: “Heroes with Blazing Light” banner active, and more! As per the calendar given earlier this month, many have been waiting for this. 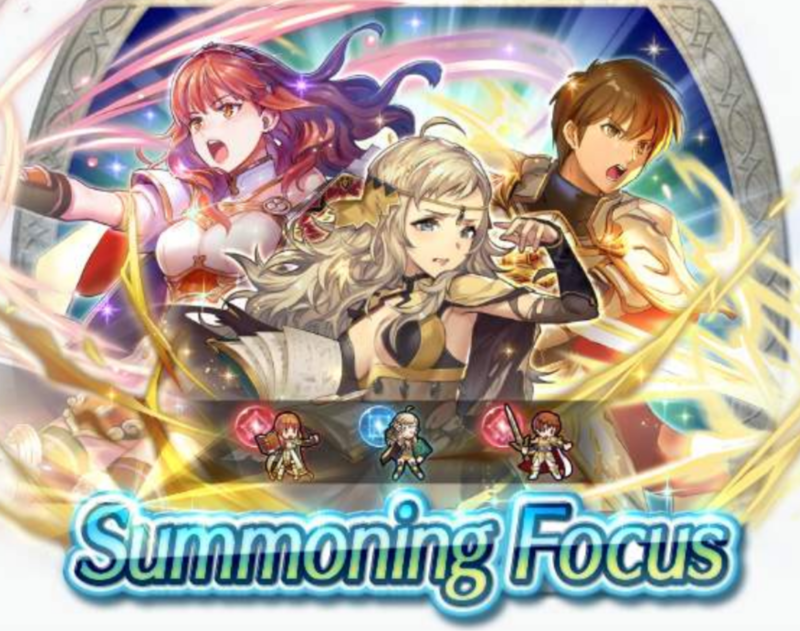 The “Heroes with Blazing Light” banner is now active. Using Ophelia’s damaged artwork. Now that’s strategy! Within this banner: Celica: Caring Princess, Leif: Prince of Leonstar, and Ophelia: Dramatic Heroine. This is quite obviously the “Ophelia and Friends” bait banner, but if you’re looking for copies of any of these units, I don’t think there will be a better opportunity again for quite some time. The banner begins today and lasts until the 4th of March, 6:59am UTC. If you do want any of these guys, just be aware that the 2nd Anniversary banner is coming soon (featuring Legendary Azura, Halloween Myrrh, Legendary Lyn, and Duma) on the 25th of February, and a new Legendary arriving on the 27th of February with the Legendary banner. Hold on to your Orbs, this banner is not going anywhere fast! Summoners, if you’ve been hoping for another chance at a Banner featuring any of Dierdre, Lute and Sonya, then your chance is now, during the Heroes with Ploy Skills banner, running now until October 16 @ 11:59p PT. Additionally, Summoners seem to be chatting it up in various sources about the return of Rival Domains, in lieu of returning Relay Defense event maps. Finally, the final round of the Fathers vs. Daughters Voting Gauntlet round is upon us, and it features Lilina vs Morgan (F). Who do you think will triumph this time around? Heroes: Version 2.3 Update: Rival Domains, Blessed Gardens, and More! The Version 2.3 Update is now available for Fire Emblem Heroes! This update brings a whole host of new features to the game. You may need to manually update the game via your phone’s app program to access the update. As of the time of writing, it is not yet live for iOS users, but is available for Android users. The most exciting and noteworthy additions in this update are two new game modes: Rival Domains and Blessed Gardens. Read out further below for a deeper look at these new modes. We also get a host of smaller updates, including Weapon Refinery enhancements for three heroes’ weapons: Eirika’s Sieglinde, Leo’s Brynhildr, and Soren‘s new tome Wind’s Brand. All three weapons can now learn a special, unique skill upon refinement. The ability to see the player’s name when looking their hero’s detailed stats screen, such as in the arena or friend’s list. All players will be able to re-battle immediately in the next Voting Gauntlet if they lose their match. You can now choose whether or not Merges count as levels when using the “Sort by Level” function in the Allies menu. The new option can be toggled on oor off in the settings menu. A Colorless Dragon is hinted to be added to the game in the future. Squad Assault 8 is now available. 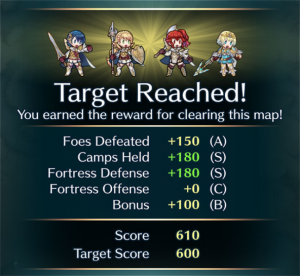 Heroes: March Update Brings New Game Modes + Weapon Refinery Updates! Fire Emblem Heroes has shared some intriguing tidbits about the upcoming March Update! It includes two new game modes and also some Weapon Refinery updates. Take a look down below for further info. An entirely new game mode called Rival Domains will be starting up with the new update. Players will deploy up to 20 heroes in large Brigades to capture enemy camps. In addition to using your own heroes, you can recruit some from your friends! 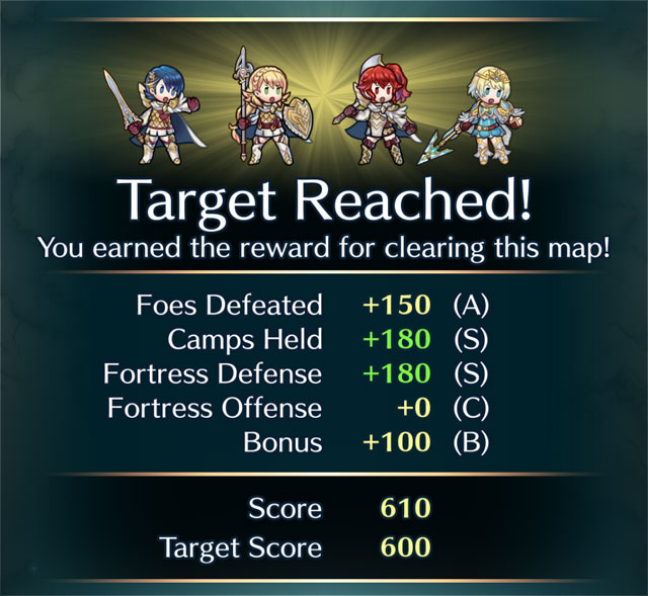 Rival Domains features a point-based scoring system, similar to Tempest Trials. Player can earn points based on how many foes they defeat and camps they hold, in addition to separate scoring for Offense and Defense. Complete details on scoring will likely be shared once the event goes live. New Rival Domains will be added each week on Saturdays at 7:00am UTC. Another new game mode called Blessed Gardens will be using the new upper left icon on the Battle screen. This game mode was hinted at in a previous update, as players will only be able to use heroes with Legendary Blessings bestowed upon them. The update hasn’t actually told us much about how this game mode will play out. However, they do stress that many of all four Blessings will be available in the game mode, including four Water Blessings right at the beginning. So, all players should be able to play the new game mode, even if they haven’t summoned any Legendary Heroes yet. 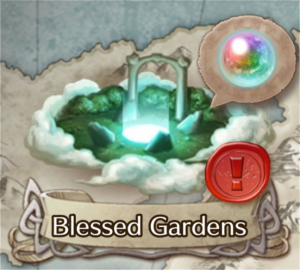 New Blessed Garden maps will be added each week on Sundays at 7:00am UTC. Three heroes will be receiving upgrades with the latest Weapon Refinery update! First up is Soren, who will receive a new tome at 5★: Wind’s Brand. Soren’s Wind Brand as well as Eirika’s Sieglinde and Leo’s Brynhildr will all be able to be improved with special effects in the refinery. We’ll get full details of the weapon skills when the update goes live. All three of these updates are scheduled to go live with the March update which is scheduled for “early March”, but we do not yet have an actual date for it yet. Stay tuned for further details!